Coletta is one of our very popular models of bathtub, combining Italian grace with clean Scandinavian design and minimal detailing. 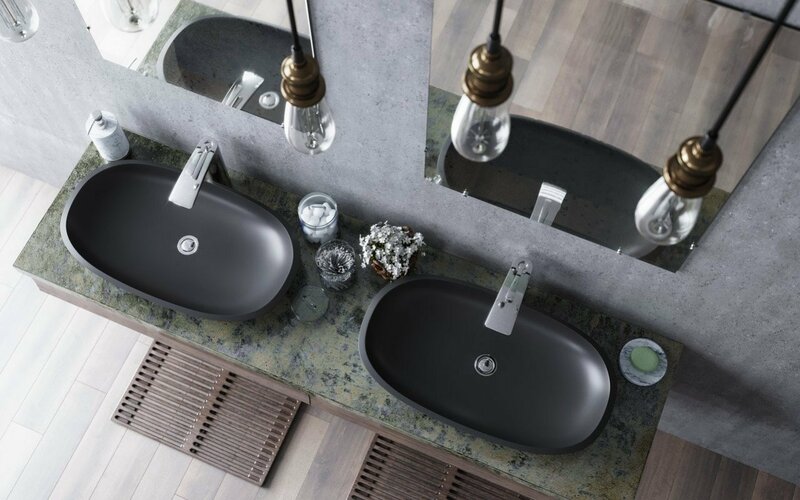 Now Coletta has been interpreted in a beautiful matching basin – the Coletta stone vessel sink - with which to carry your decorating mood throughout the bathroom. 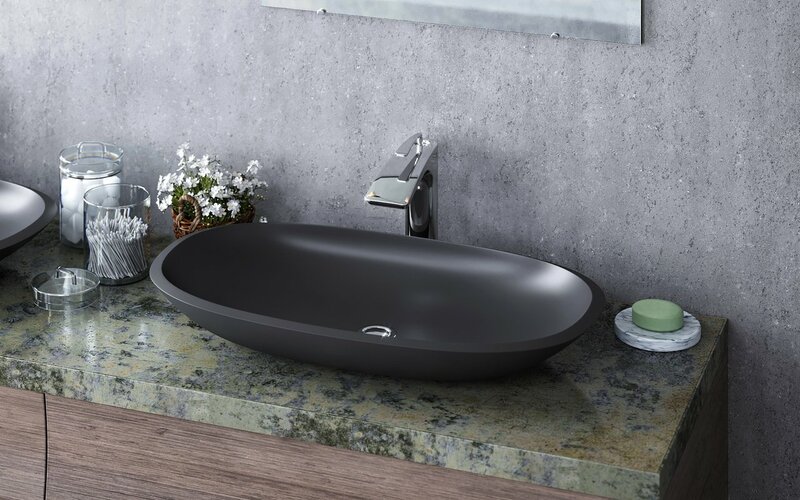 The Coletta is unique in sink styles, a stunning, long, low dish-shaped rectangular basin with softly rounded corners, crafted from our state-of-the art, quality stone composite AquateX™. The solid walls rise gently from the flat-bottomed sink to the beveled rim. Available in generous 23.75" (60cm) or the truly elegant, extended 29.5" (75cm) sink, Coletta is a stunning expression of the ‘less is more’ approach to architectural style that needs little adornment to achieve perfection. Both sinks are available in our full range of solid colors - classic white, beautiful black, gorgeous grey and natural sandstone.